Office Space - Woodley, Berkshire. 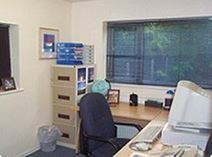 Furnished offices in a business centre near Reading. A comfortable and tranquil space, this accommodation benefits from unbeatable transport links with two train stations nearby and just minutes’ from J10 of the M4. Heathrow can be reached in under half an hour by road. Woodley town centre and Reading provide all the local services required including shops, cafés and banks.